Does the Sound of Chewing or Foot Tapping Drive You Bananas? You May Have Misophonia. 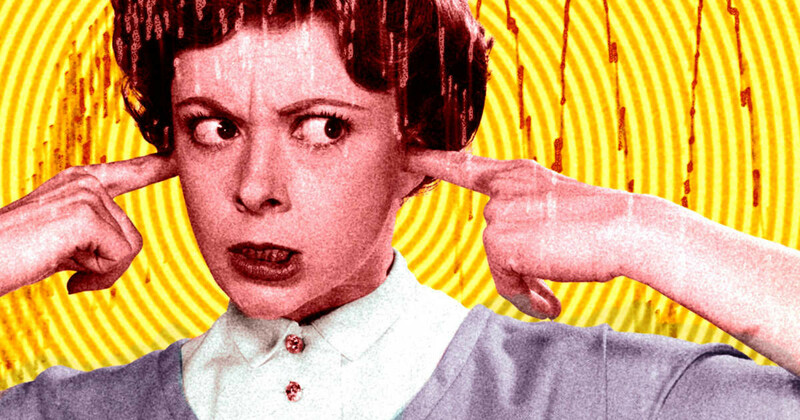 If you get extremely annoyed by certain sounds, you could be suffering from a condition called misophonia. Learn more about this condition, and what you can do to ease your symptoms. ​Misophonia is a condition in which negative thoughts and emotions, and even physical reactions are triggered by certain sounds (that others don’t react to). For example, a person with misophonia may become extremely annoyed by the sound of someone chewing food, breathing, or clearing their throat. Triggers may also include repetitive motions, such as constant fidgeting or twitching. A mild misophonic reaction may cause anxiety, discomfort, or a desire to move away from the sound. But more severe responses can include emotional distress, rage, panic, fear, hatred, and even suicidal thoughts or a desire to kill the source of the noise. We recently saw a teenager (Sarah*) at our clinic who reported symptoms of severe misophonia. Her triggers included others chewing food and loud repetitive sounds (such as foot tapping or clicking a pen). Sarah’s misophonia was creating a barrier with her family－ to the point where she had not eaten with her family in years. In order to cope with her symptoms, Sarah would wear headphones whenever possible, listen to white noise in quiet environments, or avoid situations which could aggravate her misophonia. Sarah wanted other options or coping mechanisms to make her daily life easier for both herself and her family. After performing a full auditory evaluation, several recommendations were made. Hearing devices were recommended for sound retraining therapy in which the individual learns, over time, to tolerate certain noises. With misophonia, it is important to approach sound management with a multi-disciplinary approach, including evaluation by audiologists, psychiatrists/psychologists, neurologists, and occupational therapists. If you are suffering from misophonia, call us to see how we can help you manage your symptoms.